A Contemporary Look Having Four Square Feet & Plain Shaker Style Doors. A Very Popular Design but Also Very Practical With Lots of Storage Space & a Wine Rack Incorporated Into the Design. Again an Extremely Popular Unit of Ours. Its Design Reflects the Shaker Style Very Well, With a Large Plain Skirting & Four Simple Framed Doors. 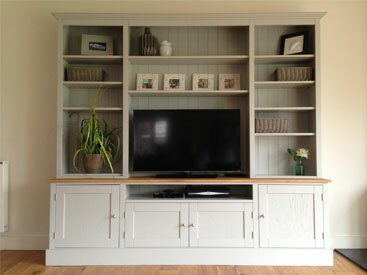 Our handmade painted furniture is excellent value for money but doesn’t compromise on stunning design. Whether it’s classic painted welsh dressers or modern painted sideboards you are looking for then look no further. 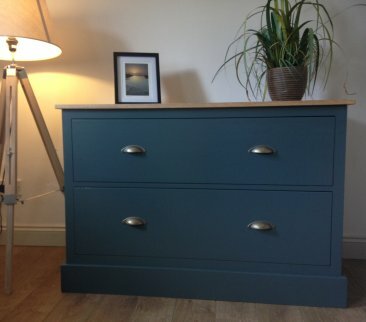 On all our furniture you have a CHOICE OF ANY FARROW AND BALL COLOUR at no extra cost. Meaning we can create furniture for your home, your style and your family. Whether your interiors are modern and simplistic with cool greys, whites and blues or if your home is warm, traditional and inviting with creams and warm whites or even reds. You can find a shade just perfect for your space. We also offer bespoke furniture too. So if you have a space to fill and can’t find anything to fit then feel free to send us an email at nestatnumber20@gmail.com. 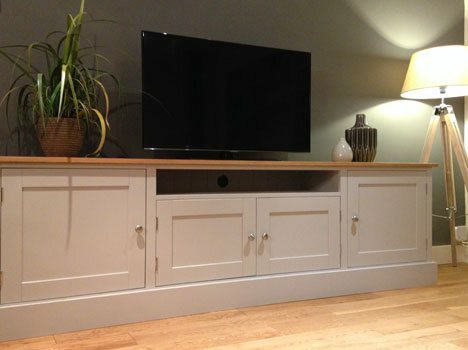 We can discuss your requirements, come up with some drawings for you and you can create bespoke furniture that is just right for you and your home. This huge multi functional unit is super popular right now. Having the look of a welsh dresser but at the same time neatly & symetrically housing the TV. 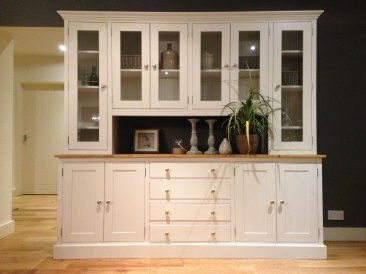 A beautiful sideboard with a slightly contemporary look having four square feet and plain shaker style doors. This dresser is a real statement piece in this shade of deep blue. with a solid oak worktop and the rest built using solid pine.